Two assassination blasts in Somali city Baidoa almost at the same time. 50 people are gravely injured. In a double suicide attack on a popular restaurant and hotel, at least 16 people have been killed in the Somali city of Baidoa. Around 50 others were gravely injured, a police officer said on Saturday. The assassins, who slammed almost at the same time, wore explosives vests. 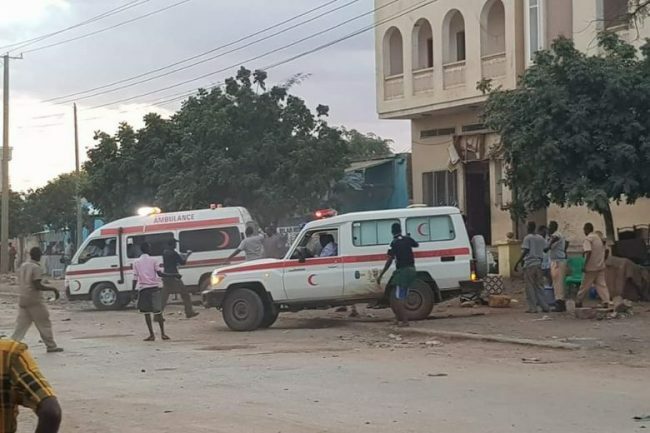 The Islamist terrorist organization Al-Shabaab accepted the responsibility of the committed blasts in a radio message of the attacks in Baidoa. The place is located about 200 kilometers west of the capital Mogadishu.